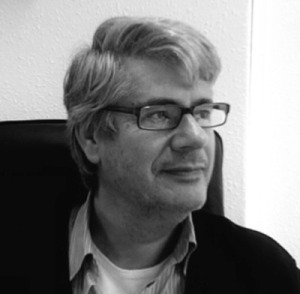 Prof Robert Kronenburg PhD RIBA is an architect and holds the Roscoe Chair of Architecture at Liverpool School of Architecture, where he was head of school from 2004-9. His research engages with innovative forms of architectural design, film and popular music. His sole author books include Houses in Motion, Spirit of the Machine, Portable Architecture, Live Architecture: Venues, Stages and Arenas for Popular Music and he is co-editor of the Transportable Environments book series. He is a past Fulbright fellow and has been a visiting fellow at St. Johns College, Oxford University. He curated the major exhibition Portable Architecture (1998) held at the RIBA, London, and was curatorial advisor on the Vitra Design Museum’s exhibition Living in Motion (2002-06). His research has received support from the Building Centre Trust, the Graham Foundation, the UK Arts and Humanities Research Council, the Daiwa Foundation and the Leverhulme Trust. The Chinese language edition of his book Flexible: Architecture that Responds to Change was published by Huazhong University, Wuhan, in 2012, and Architecture in Motion: The History and Development of the Portable Building was published by Routledge, Oxford and New York, in 2014. He is currently working on a definitive history of popular music performance architecture with the support of a British Academy/Leverhume Trust Senior Fellowship.